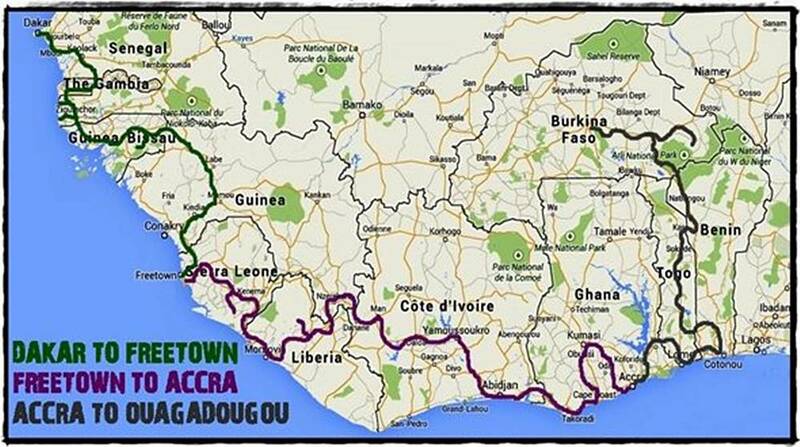 Overlanding West Africa are very proud to be the first truck based operator to successfully market, sell, and operate an overland trip through both Guinea Bissau and Sierra Leone in 2012. No other overland truck based operator ran trips through these countries before we did. We were also the first overland company to market and sell a trip through Senegal’s Casamance region and Guinea. Other companies had re-routed their trips through the Casamance region of Senegal and Guinea on several occasions before due to problems in neighbouring countries on their intended route. However, we were the first to actively market and sell an overland trip through these stunning areas. in 2012 we were also the first to market, sell, and operate trips through Ivory Coast since 2004 after peace returned following the civil conflict there. In 2013 we were the first overland truck based company to run a trip through Liberia. We’re pleased to say it was a huge success with everybody saying how much they enjoyed visiting the country. Why Focus Upon These Countries? Until recently, tourism in West Africa predominantly focused upon the countries of Gambia, Senegal, Mali, Ghana, Togo, and Benin. At Overlanding West Africa, we want to focus as much as possible upon those countries that are witnessing the start, or in some cases rebirth, of a tourism industry. We like to get as far off the beaten track as possible and see parts of West Africa other travellers seldom get to, and we think our trips reflect that ethos. For some countries like Sierra Leone and Liberia it’s still early days, but the authorities are pushing the tourism initiative heavily and it’s starting to pay off with increasing numbers of visitors. Both countries have worked hard to restore peace and stability and it’s great to see people returning once again to countries that offer so much to travellers. 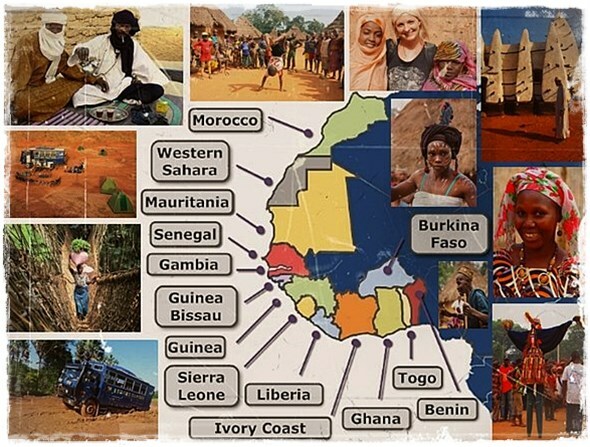 Why Don’t You Visit Mali? Unfortunately much of the north of Mali is currently placed under travel warning restrictions – and this is where all the exciting stuff to see and do is! While we might not necessarily agree with blanket coverage of the north of the country, it does make obtaining tour operators and public liability insurance impossible if we go against such strong advice. The south is much less of a risk overall, though unfortunately there is not so much to see and do in this part of the country, making including Mali in our trips less ideal (for the moment at least). We very much hope the situation improves in the forthcoming months and the tourist industry in Mali picks up once again! Why Don’t You Carry Onto Central Africa? We were, up until recently, offering a trip through Togo, Benin, Nigeria, Cameroon, Gabon, and Congo, but are very sad to say we have had to cancel this trip until further notice for reasons beyond our control. The Central African region is notoriously bureaucratic, and the visas for some of these countries are particularly difficult to obtain. The main issue is Nigeria. 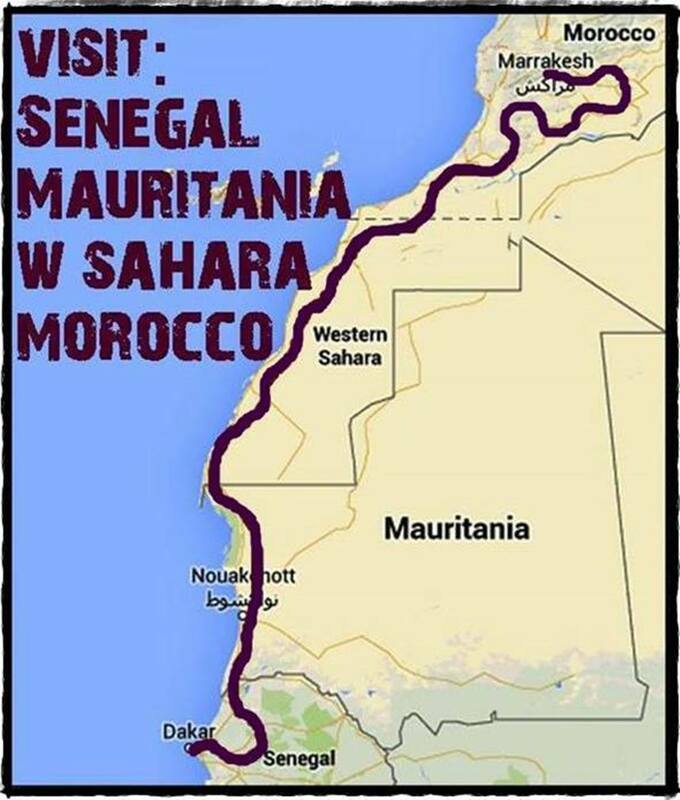 The authorities have recently tightened their visa requirements, making a multi country trip through West Africa and Central Africa actually work very difficult indeed. Further on the route, DR Congo and Angola have tightened visa regulations even more than Nigeria in the past year. Obtaining a tourist visa has now become very unpredictable for both of these countries. Multi country trips through this part of Africa are fast becoming hugely problematic for operators and individual travellers alike, mainly due to the stringent visa requirements. Having said that, it is not impossible, and some people are managing to get through, but the last thing we want to do is to sell a trip from Brazzaville further south only to find we can’t get the visas and we have to cancel or terminate the trip early. Of course, we are always keeping a very close eye on the visa procedures for all countries in West Africa and Central Africa. We very much hope to be able to continue on from Ghana towards Nigeria and down to Congo as previously planned, but for the moment, just simply isn’t feasible. 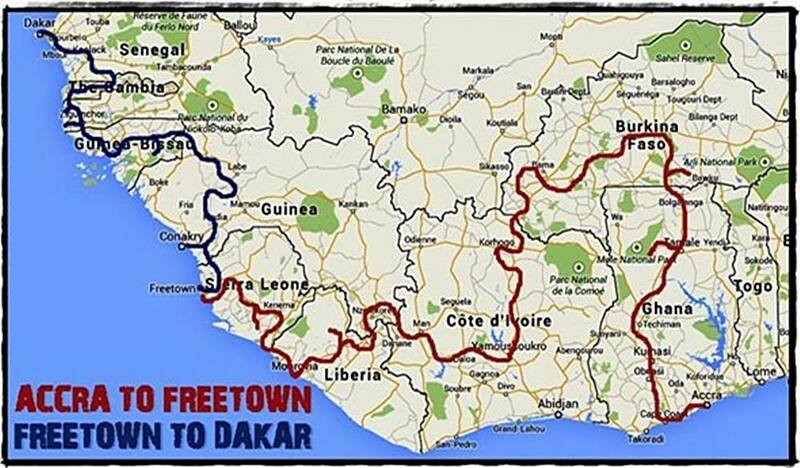 Our ultimate dream is to run trips from Algeria down into Niger, and onto Mali, before carrying on as before. For the moment, such a trip really will remain a dream due to security issues. Chad is another country we are looking at all the time, and we’re encouraged that a number of operators have started to run trips there once again. However, the costs involved are very high, and such a trip would need a price tag to match. Central African Republic (C.A.R) is also a country we are keeping a close eye on. Again, a number of operators have started running trips there in the last year. We very much hope to include C.A.R on our future itineraries. If you have any questions about Overlanding West Africa, the trips we run, or what there is to see and do in the region, don’t hesitate to Contact Us via our enquiry form or email us directly at info@overlandingwestafrica.com we look forward to hearing from you!